In the beautiful Sacramento Valley, we experience the pleasure of sunshine about 270 days out of the year. That’s about 74 percent of the days in any given year. With that much sunshine rolling across our skies, isn’t it time to take part of the solar revolution? If in the past you and your family have talked about putting a solar power system in your home, now’s the time. The fact that your solar system would provide nearly all the electricity you will need is motivation enough, but to know that once you have that solar system paid for, you could be one of millions of homeowners who won’t have to pay for their electricity anymore. We always offer a free written estimate with no pressure or heavy sales pitch -- just a straightforward consultation. We work with you to design a system that fits your home, your energy demands and your budget. Now we order your solar panels and get to work. We come prepared to protect your roof and get your solar installed and working. Your system will take energy from the sun and direct it straight to your electrical panel on the side of the house. That electricity is the same type of electricity your lamp in the living room uses. It’s also the same type of electricity your air conditioner uses. Your air conditioner is the most expensive thing to run in your house right now. It’s that way in every house. Wouldn’t it be nice to have a way to use your AC more without having to pay more for energy? That’s the great thing about solar! Obviously, the sun shines brightly in the summertime, right? During those bright and shiny days, your solar system is going to produce an overabundance of electricity for your house. When that happens, it actually overflows into the local electric company’s energy feed. They want to use your energy and will pay you for any electricity they use. They buy it from you at the same price they buy it wholesale from their supplier. At night time, the sun is not shining and won’t produce any electricity for your home. Now you’re using the energy from the electric company. Take the overabundance of electricity you made during the day and subtract the amount of energy you used at night, and I’ll bet you are ahead at the end of the day! Do this every day for 365 days a year and it’s very likely you will be paid for the net overage your house produced. This is called “True up” at the end of the end of the year. A “Residential Renewable Energy” federal tax credit is available for solar photovoltaic (PV) systems. Generally, there is a 30% credit for qualified solar property placed in service in 2018 & 2019, 26% credit in 2020, 22% credit in 2021 and 10% in 2022. After 2022, the credit will not be available for individuals unless there is further legislation. This is a federal credit and can be carried forward. Some limitations may apply. This is general information and should not be considered tax advice. Please consult your tax advisor regarding your specific tax situation, as the amount of credit available is dependent upon the facts and circumstances for each taxpayer. California has the highest cost for energy on the west coast. State and local “net metering” policies allow homeowners to get paid for excess power produced by their solar system. Wouldn’t it be nice to have a power plant right on your rooftop and know that the utility company might have to pay you back for the energy they bought from you? 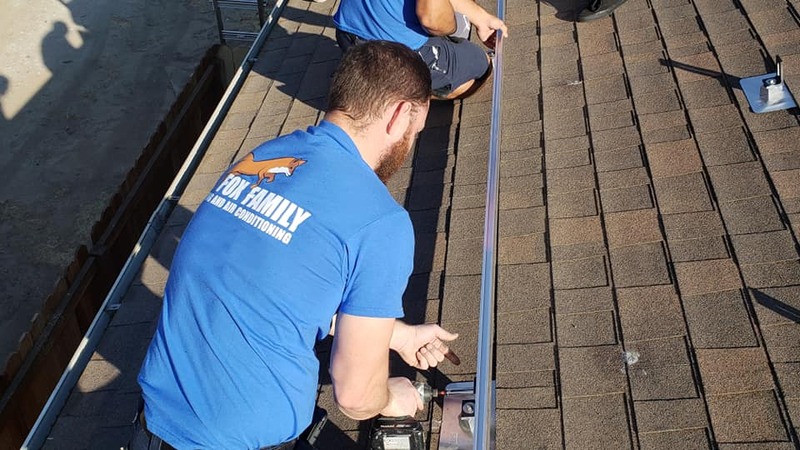 Fox Family Heating and Air Conditioning has several different ways to finance the project and allow you to start putting that money right back in your pocket. Please contact us for a free consultation at 916-877-1577.